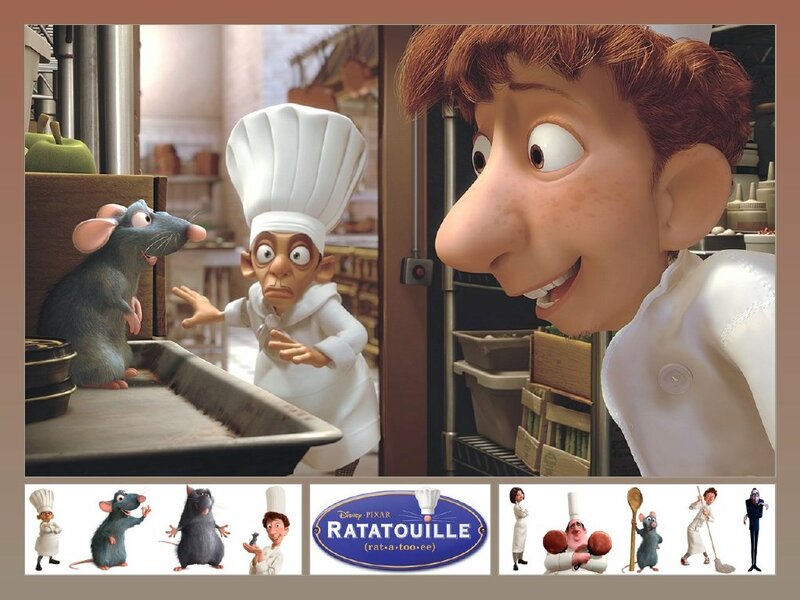 This movie is about Remy, a rat who wants to be a chef but he’s a rat. When he gets separated from the rat colony and finds out he’s in Paris he gets a chance to cook. My favorite part in the movie is when all the rats cook together because I like how they organize into different groups so they can work together to make “Ratatouille” and save the restaurant. My Favorite character is the the rat Emile, Remy’s brother and friend. I like Emile because I think he’s funny and sometimes helps Remy. Emile is funny when he eats. 1. This movie won an oscar and had the most nominations for any animated film ever. 2. Jan Pinkava, the co-director of Ratattouille had the original idea for this movie. And she directed the PIXAR short Geri’s Game. I think this movie can be for kids of all ages but I warn you there are some scary parts. Some kids may be scared of the food critic Anton Ego and when Mabel tries to shoot the rats. I watched it with you and it is really a good movie. i would give it the number of stars that you rated. I agree that the ratatouille cooking scene is amazing. It’s another movie worth seeing more than once. ratatouille is really a great story about friends and family helping each other. I loved the scene when Remy first gives cooking guidance from under the chef’s hat. I also watched Ratatouille. My favorite part was when they were cooking on the roof and the lightening bolt hit them and Remy fell down and said, “We should try that again.”. PS. Great job with the web site!